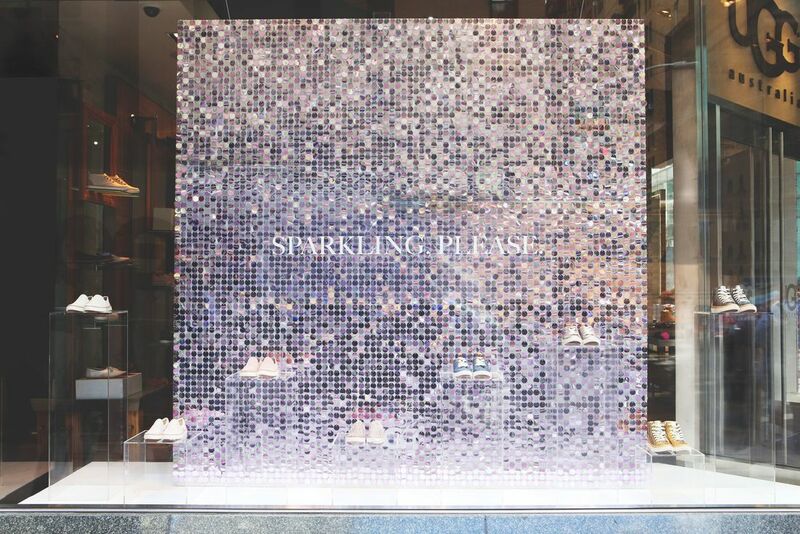 Is visual merchandising just creative or do we need to keep an eye on the clients bottom line? Visual merchandising trends ring the changes for those of us working in this sector and we all have to reflect what is going on to stay current. 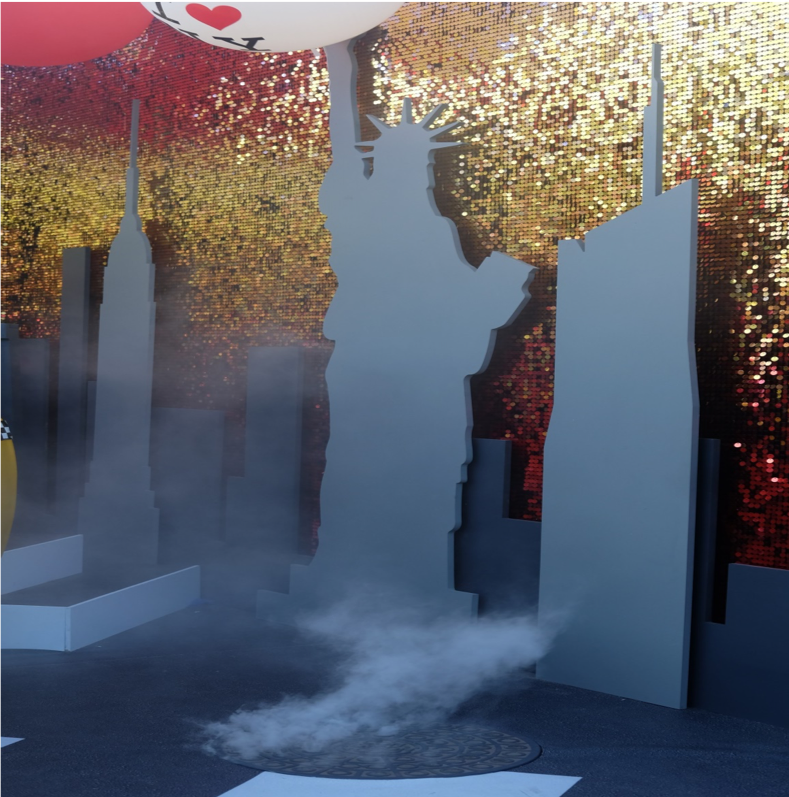 But what are the visual merchandising trends for 2017 ? There are some things that you just have to see and how we present ourselves and our products can inspire, amuse, and be thought-provoking. That's why its called "visual merchandising" and now this area is a great hub of creative people and sublime creativity. 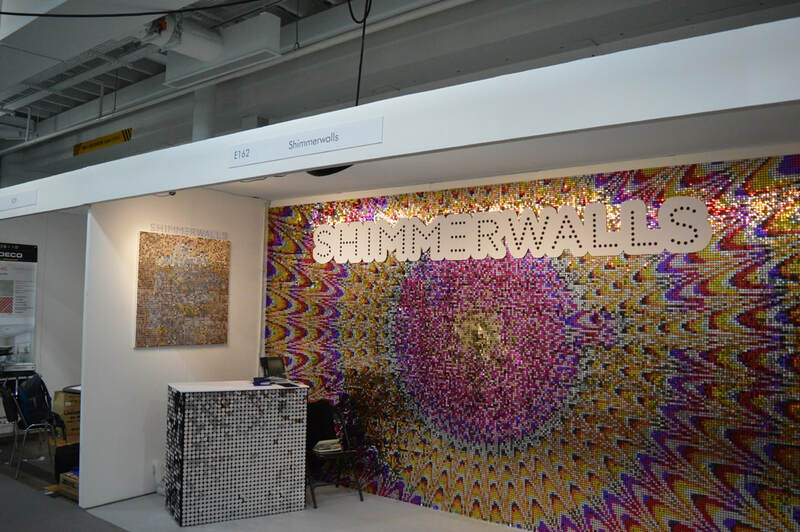 When I tell anybody about Shimmerwalls and our ability to create pictures from small sequins, I can usually see the lack of that person visualising what I am trying to describe- maybe that's just me and my description abilities. Invariably I whip out my phone and show examples of our work before I have even finished my verbal description. Visual merchandising and those of us in this industry try to provide all types of retailers with an interesting angle to show off their goods to the best advantage. So what are the visual marketing trends this year? Some retailers windows are destinations in their own right, especially in the run up period to Christmas. 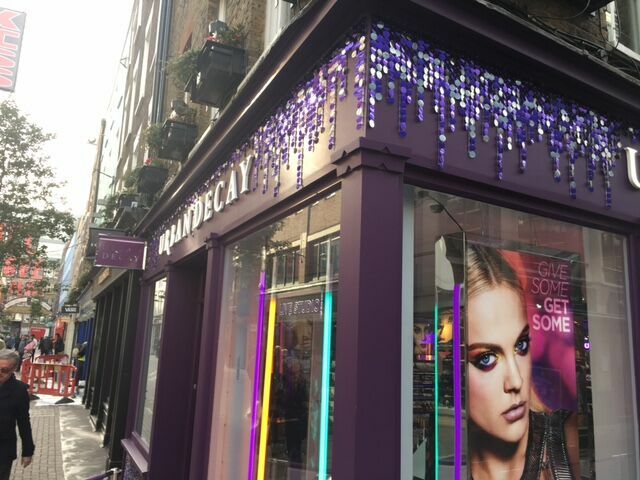 With a professional and personal interest I love looking at the creativity that goes into making the high streets look festive and interesting. Even more during a difficult retail market the shoppers need to have their attention piqued and the retailers must frame their edited selection with an interesting backdrop. Throwing literally everything in the window is no longer an option. The retailers now know who their target customer is and are actively selling to that person. That takes creativity as some retailers will have a larger VM budget than others or place more importance on it. This entry was posted on February 13, 2017 by Shimmerwalls. 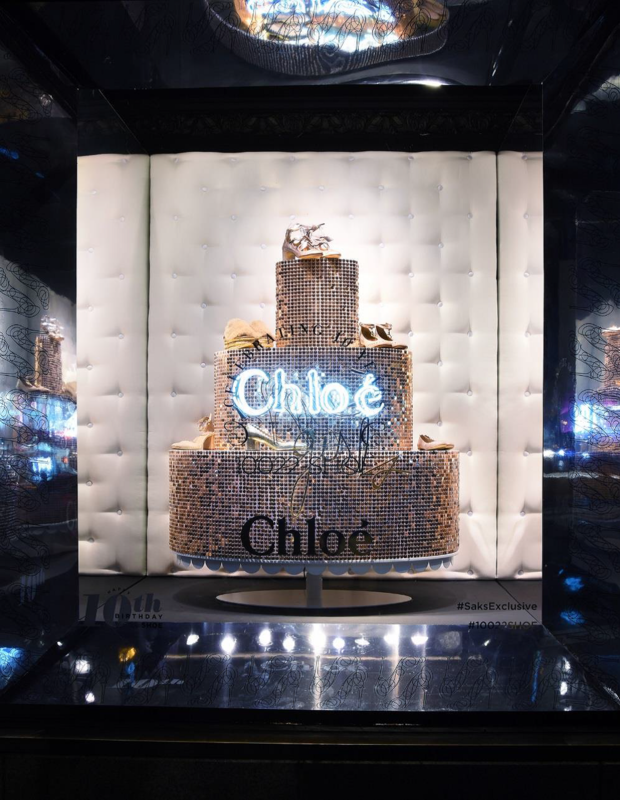 We were very proud here at Chez Shimmerwalls to be involved with the fantastic Christmas store windows for the leading brand Chloè. As you can see on the image above the Shimmerwall for the Galleries Lafayette needed to be curved. Fortunately this is not a problem for us as our boards are scored so we can bend the them to shape as we did here. The brand Chloè are known for their attention to detail and so we painted our boards with their brand colour so the rose gold sequins had a beautiful Chloè signature cream colour background. The edges of the board panels were then finished with a gold trim. 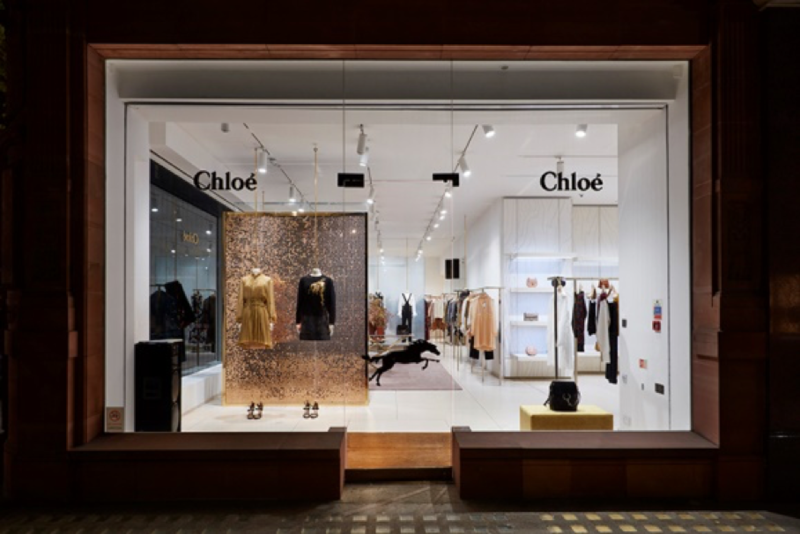 The image above shows the Chloè boutique in Sloane Street London, here the rose gold Shimmerwall was used as a stunning visual merchandising backdrop again in a curved angle. 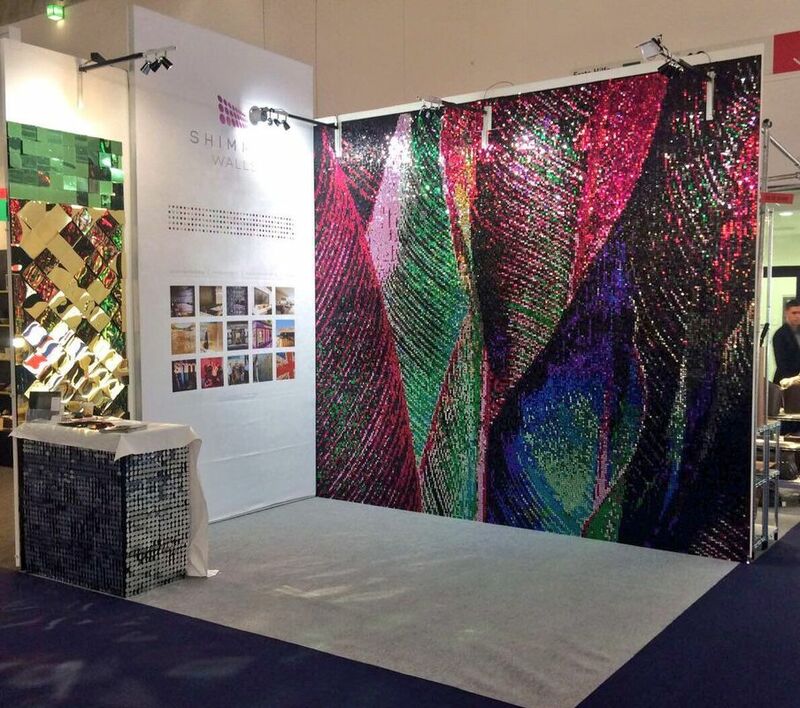 Call us if you require a bespoke solution for your visual merchandising needs, Christmas store windows or a stunning Shimmerwall indeed for any event or press launch. 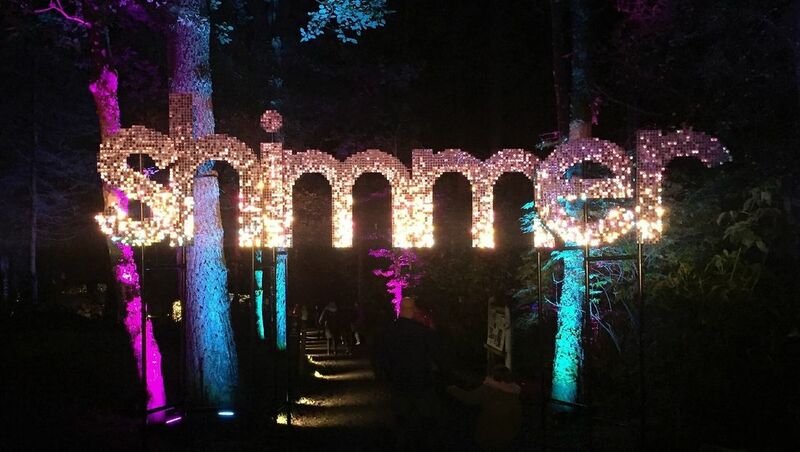 Contact us at hello@shimmerwalls.com we would love to hear from you. This entry was posted on January 6, 2017 by Shimmerwalls. 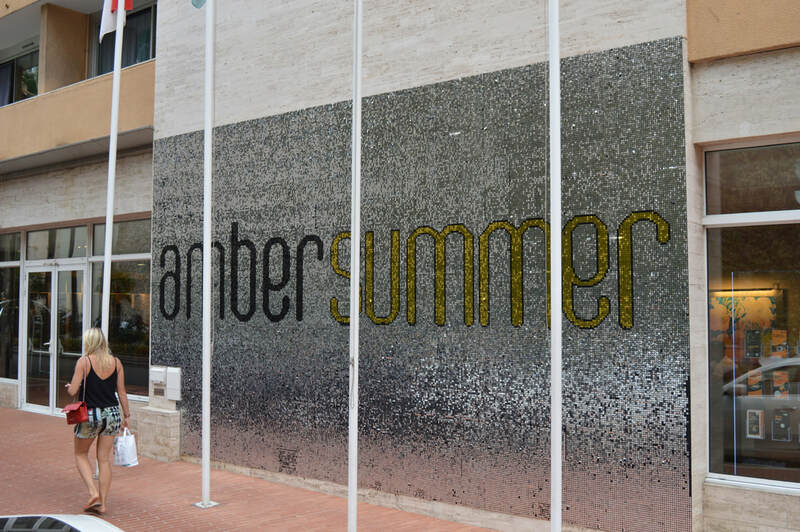 For the new nightclub Amber Summer, Shimmerwalls created a large sequin wall displaying their logo. 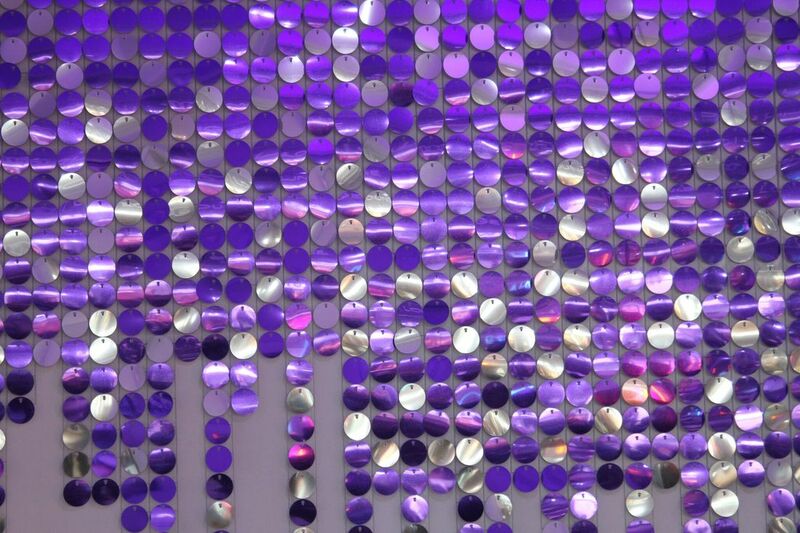 The sequin wall is put up on the wall of Le Méridien Beach Plaza in the Larvotto district of Monte-Carlo. The Amber Lounge is known for being the undisputed after party of the Formula 1 races. It's where F1 teams, drivers, sponsors, royalty, VIPs and celebs find their spot away from the glare of press and media. Amber Summer is the summer edition. 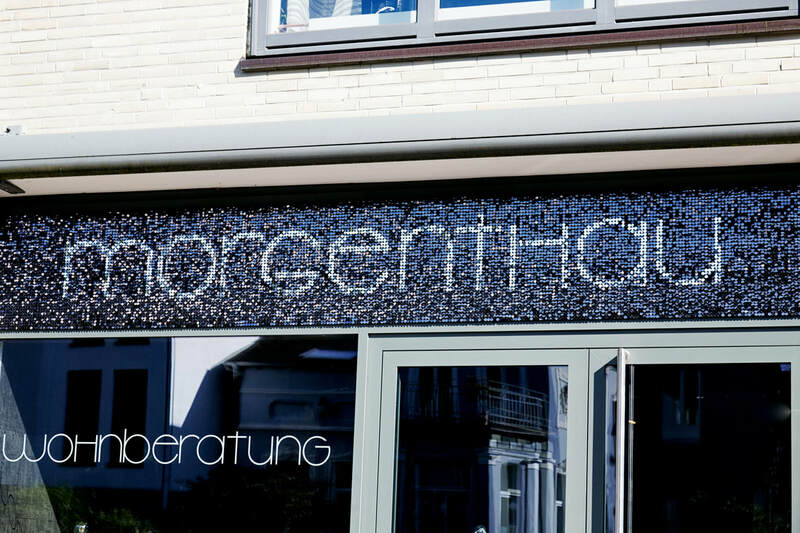 This is a concept nightclub with the glamorous branded Amber experience of glitz and glamour - expressed brilliantly by their new Shimmerwall logo. Walking down after a day at the beach, passer-bys are met by the sequin wall done in silver, black and gold sequins which reflect the purple flowers on the opposite side of the Méridien. Right beside the sea and surrounded by palms, this scenery has crowds fascinated by it's uniqueness. People are trying to get that sunset gram with the sequin logo, the vibrant colour play and unique lighting. Earlier this year, at the 10-year anniversary of Amber Fashion which is held during the Monaco Grand Prix, Shimmerwalls collaborated with the Amber Lounge. 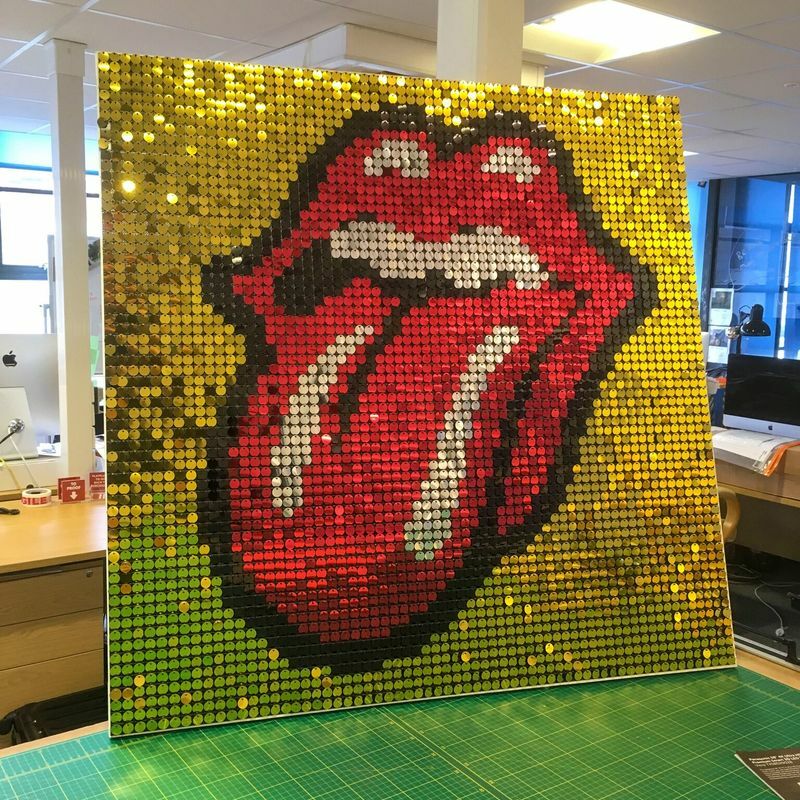 Sequin art portraits of Formula 1 drivers Lewis Hamilton and Nico Rosberg were put to auction for the Amber Foundation. This charity supports young adults getting back on their feet with appropriate job skills and housing. Both Lewis Hamilton and Nico Rosberg signed the plaques of the sequin boards making the pieces even more unique! With the busy summer season in Monaco coming up, Monaco was being dressed to the nines with the iconic glitz and glam of the Riviera – so what better way to make a new logo than with a Shimmerwall? The sequin wall is made out of 100,000 sequins in silver, gold and black. It shows constant movement, it's dynamic and changes with the sunlight and it creates the perfect welcome. Especially for those memorable nights with the backdrop of the Monaco skyline. This entry was posted on July 14, 2016 by Shimmerwalls.